Enjoy waterfront-like views from this lovely home just 1 off the Bay. Sunsets like no other bayside home offers. With its unique curvature, this private lane wraps northerly toward around the house affording unparalleled bay views from every inch of the home. With the deeded bay AND ocean access, you’ll have the best of both worlds. Entertain from your massive bayview deck or enclosed porch. Completely renovated in the past five years and perfectly maintained, this home features two bayview master suites, two living rooms, granite counters, hardwood floors, garages, and room for a pool. This home is truly turnkey and sold tastefully furnished. 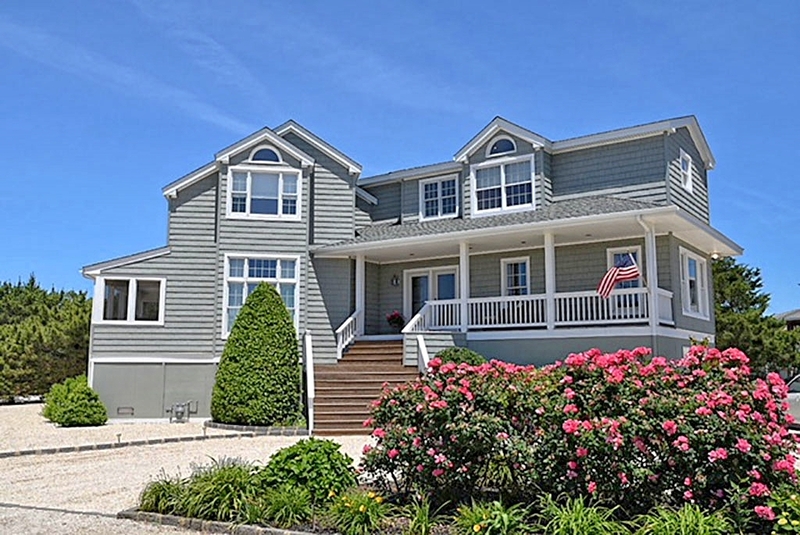 Invite the whole family down the shore this summer, there’s plenty of room and bay breezes.